1)	Enter the colume flow rate. 2) The result shows you the annual energy costs in euros per energy efficiency class. 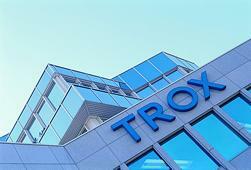 The filter energy cost calculator from TROX gives you initial information regarding energy costs when selectiong filters. We will be happy to propose an individual quote for your room air conditioning system.